Homehow-toI forgot my Facebook password and email password. How can I log into Facebook? Note that before you can access your account with your email address and username, you’ll need to link them to your Facebook account. 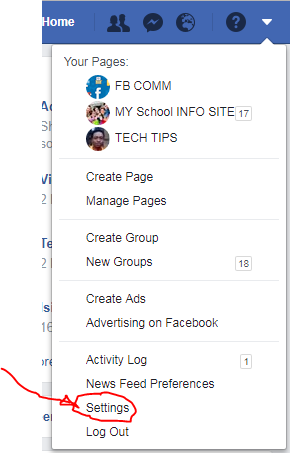 For the sake of those who may wish to know, let me take you on how to add your username and email address to your Facebook account so you can always log in with them. 4. Hover about the new page that appears and click “Edit” at the far right of the username option. 5. Next, enter your username in the space provided. Note that if your username is available you’ll see it and the box will be ticked with a green color good. Now. you’ll need to click on the Save changes icon. See screenshot above. Facebook will now assign you with a URL containing your username. The URL will look like this: “Facebook/joeljoel” if joeljoel is your username. Also, note that your friends can also search for you via your username. So make sure you use a username that you’re known by. – Click Contact in the General tab. – Click Add another email or mobile number to add a new email to your account. – Click Remove to delete an email from your account instead. – Click Add or Save Changes. Now, I forgot my Facebook login email and password, how can I log in to my Facebook account? If you’ve forgotten your Facebook account login email and password details, here are the things you can do to recover your account. One vital thing you’re expected to note here is to ensure to use a computer or mobile phone that you have previously used to log into your Facebook account. Once you get back into your account, you can reset your password. You can also regain access to your Facebook account via trusted friends if you’ve forgotten your login details. How to contact the friends you’ve chosen as trusted contacts to get back into your account. According to the Facebook support center, if you’re locked out of your account, you can choose friends to be trusted contacts who can help you get back into your account. Click Forgot account? on the login page. If prompted, find your account by entering your email, phone, username or full name and click Search. If you don’t have access to any of these, click No longer have access to these? You’ll see a set of instructions that includes a special URL. The URL contains a recovery code that only your trusted contacts can access. Call your friends and give them the URL so that they can open the link and give the security code to you. Use the recovery codes from your trusted contacts to access your account. Please be sure to call your friends or talk to them in person when asking for the special security code. If your Facebook account was hacked, someone else could also have access to your email account.